Carib PR Wire, NEW YORK, NY, Weds. July 15, 2015: The exotic French Caribbean island of Saint-Martin will this year put the spotlight on its global investment opportunities through an exclusive collaboration with Invest Caribbean Now, the global private sector Caribbean investment agency. This elite invitation only event will feature several officials from China along with key harbour developers and top regional and local stake holders from the north-eastern Caribbean. 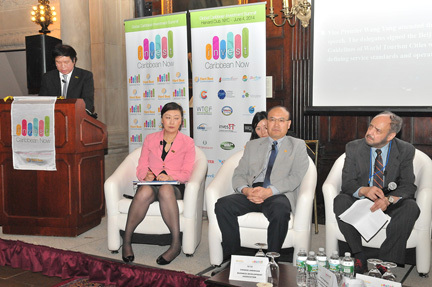 Partners for the 2015 event include Hard Beat Communications, the Chinese-American Business Development Center, the Sino-American Friendship Association, One Caribbean Television, CaribPRWire and News Americas Now. The Collectivité of French Saint Martin is located in the northeast Caribbean, approximately 300 km (190 mi) east of Puerto Rico. French Saint-Martin shares the 37 square mile island with Country Sint Maarten, a country within the Dutch Kingdom. Marigot is the capital of the territory which is home to 108 different nationalities. The population of the Collectivité of Saint-Martin is estimated at 36,824. Much more than a beach-lover’s paradise, the island of Saint Martin is teeming with natural and cultural treasures. Thanks to its climate and untouched natural heritage, the territory offers unparalleled year-round water sports and outdoor activities. Saint-Martin is also known for its duty-free shopping and luxury boutiques.